Al Mamzar is a locality in Dubai,United Arab Emirates (UAE). Al Mamzar is located in the area of Deira, in the north-east of Dubai. The north-east section of the locality is residential. Al Ittihad School, Dubai Cultural and Scientific Association , Al Gaz Moaque, Dubai Police Headquarters and Al Mamzar park are important landmark in the locality. 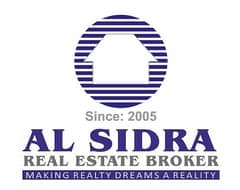 Al Sidra Real Estate Broker isestablished in October 2005 in Dubai, UAE is like all the best characters inthe greatest stories born of humble beginnings. Our object is to fulfill yourrealty dreams a reality. We are helping our clients to find property of theirdreams with our dedicated team and offers full extensive real estate services. We do Renting, Sales and Resale of both Residential and Commercial propertiesdirect from Owner and Developers. We are applying high quality standards toensure smooth and transparent property transactions. Everyday we look for waysto bring new and better services to our clients to keep our position as theDubais market leading Real Estate Company.